 with the drawing "Handlungsanweisung" (bottom left). 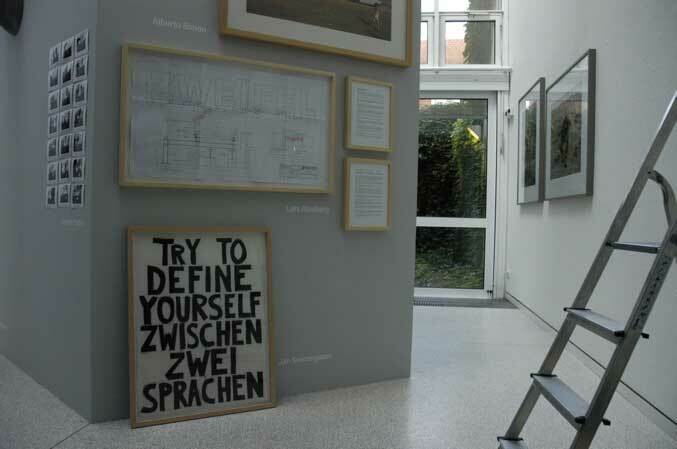 The exhibition was organised by Dellbrügge & de Moll, and centered around their video work of the same title. This consists of 30 interviews with foreign artists in Berlin. The interviews also exist in printed form. In the exhibition each artist wAs represented with one work. JS' work is a charcoal drawing, 76,5 56,5 cm, made in 2006, and refering back to the "handlungsanweisung" (= instruction for use) made for Vienna in 2003.